The Los Angeles County Board of Supervisors deserves a great deal of credit for establishing a citizen’s blue ribbon commission to study the county’s child welfare agency. The commission will be charged with reviewing past attempts at reforms and proposing new recommendations by the end of this year. Chairman Mark Ridley Thomas put it best when he noted child welfare in Los Angeles County needs a fresh set of eyes, which is why he led the Board of Supervisors in creating this commission to rebuild the public’s trust. The Chairman understands this time must be different. We cannot allow ourselves to fall into a common cycle of initial outrage over a senseless loss of life only to end with marginal efforts taken to make sure these tragedies don’t happen again. We all know how it starts. A youth loses their life to neglect or abuse. The pubic becomes outraged and demand reforms. Commissions are announced to study the problem but the recommendations unfortunately don’t always translate into successful policy to address the challenges confronting the system. Meanwhile the public loses faith that government can solve problems. The most recent case to start the cycle again is the death of 8 year old Gabriel Fernandez. Gabriel died after being tortured by his mother and her boyfriend even though officials had conducted six prior child abuse investigations into Gabriel’s family. The public is rightly outraged at this loss of young life and horrified that our system to protect the most vulnerable children failed. But despite the challenges that exist, many around the nation look to immolate areas of the Los Angeles County system. Serving as Founder and Co-Chair of the Congressional Caucus on Foster Youth has provided an opportunity to travel the nation with a bipartisan group of Congressmen and women studying other child welfare systems. Around the nation we bring together stakeholders both inside and outside of government to examine current trends and identify areas where the federal government can enhance successful practices at the local level. Other state and local leaders have praised Los Angeles County for its efforts to provide early assessments to families in need of mental health, substance abuse or domestic violence services. They’ve also taken note of the county’s focus on foster youth transitioning into adulthood. Many observers here in the county would find it ironic that Los Angeles County is seen as a model to some given the challenges we are confronting. But this serves as a reminder that reforming a bureaucracy as large and complex as the child welfare system can be complicated. It also poses the question: How do you fix obvious needs for improvements and expand areas that appear to be making progress? Chairman Ridley-Thomas was wise in leading the creation of this new commission. It can be a sound vehicle for finding the right balance between identifying and strengthening current weaknesses while figuring out the best path forward in expanding some of the areas where we have seen success. It’s a tall order, especially for a county as large as Los Angeles County but this commission can be successful if we seize the moment in the midst of a horrific tragedy. Reform minded commissioners with extensive backgrounds in child welfare policy can move past bureaucratic obstacles and ensure this commission achieves success where others did not, provided they are given the power and resources to be effective. A similar approach was taken to previous notable commissions used to study jail violence and could also pay dividends for identifying weaknesses in the child welfare system. Just as others around the nation have looked to Los Angeles County as a model for what works well, they will also be watching to see how we address recent challenges. The commission can send a strong signal that when faced with a tragedy it’s important to find the right balance between being responsive to public outcry but responsible in making sure that programs that work are preserved. That’s the best way to protect our youth and Chairman Ridley-Thomas seems to understand this well. He should be commended for his leadership in moving quickly to address such an enormous challenge. 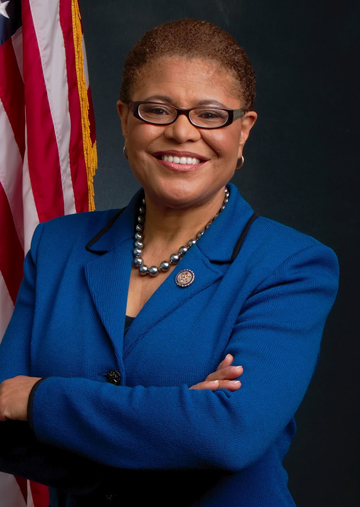 Congresswoman Karen Bass represents California’s 37th Congress­ional District and serves as Founder of the bipartisan Congressional Caucus on Foster Youth in the House of Representatives.